These are some of our long-time favorites (in alphabetical order by vegetable). We hope you’ll love them too! We’ve collected many more fantastic veggie recipes on our Pinterest page. Pasta with Greens delicious hot or cold so make extra! Swiss Chard 4 Ways – from Cooking Light Magazine. 1. Heat a large skillet over medium-high heat. Add oil to pan; swirl to coat. Add garlic; sauté 2 minutes or until garlic begins to brown. 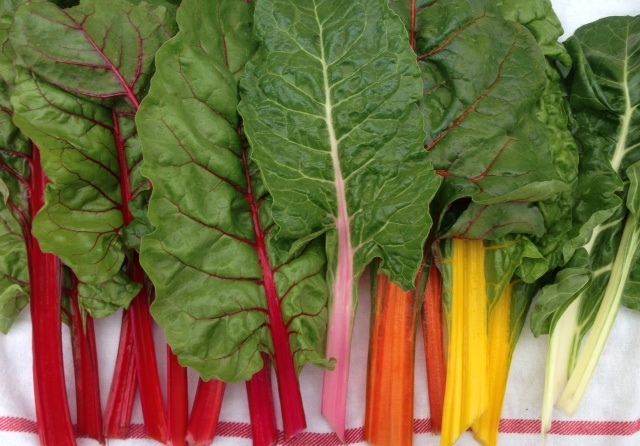 Add Swiss chard and 2 tablespoons water to pan; cook 3 minutes or until chard wilts. Stir in lemon juice and pepper. Sprinkle with cheese. VARIATION 1 Quick Caramelized Onions: Heat a large nonstick skillet over medium heat. Add 1 teaspoon olive oil; swirl to coat. Add 2 cups sliced yellow onion and a dash of baking soda; cook 10 minutes or until browned. Add 12 cups chopped Swiss chard and 2 tablespoons water to pan; cook 3 minutes or until chard wilts. Stir in 2 teaspoons sherry vinegar and 1/4 teaspoon freshly ground black pepper. VARIATION 2 Golden Raisins and Pine Nuts: Heat a large nonstick skillet over medium heat. Add 3 tablespoons pine nuts to pan; cook 3 minutes or until browned, stirring frequently. Remove nuts from pan. Add 1/4 cup golden raisins and 1/4 cup water to pan; cook 1 minute. Add 12 cups chopped Swiss chard; cook 3 minutes or until chard wilts. Stir in 2 teaspoons white wine vinegar. Sprinkle with pine nuts. VARIATION 3 Warm Bacon Vinaigrette: Heat a medium nonstick skillet over medium heat. Add 2 slices applewood-smoked bacon to pan; cook until crisp. Remove bacon from pan; crumble. Remove pan from heat. Add 2 teaspoons cider vinegar and 1/4 teaspoon freshly ground black pepper to pan, stirring with a whisk. Pour vinegar mixture over 6 cups chopped Swiss chard; toss. One of our favorite Kale Salads – from Fresh by Sergei & Valya Boutenko. In the summer I left out the radishes and when I make it now I leave out the peppers (none growing in the garden). Use any nuts if you don’t have pine nuts. Rip the kale off its stalks into a bowl. In a blender blend the oil, vinegar, salt, agave & orange juice, or put in a jar and shake hard. Pour the liquid over the kale and mix thoroughly. It helps to use your hands to mix and squeeze the juices into the kale, which also softens the kale. Chop the remaining ingredients and add to kale. Raab -broccoli, kale, collard. Any and all of the raabs, only available in the spring! OR it can be tossed with a little oil of choice (unrefined coconut oil is heat stable and a good choice), salt and pepper and thrown on the grill beside a juicy steak! I love it served over grits. 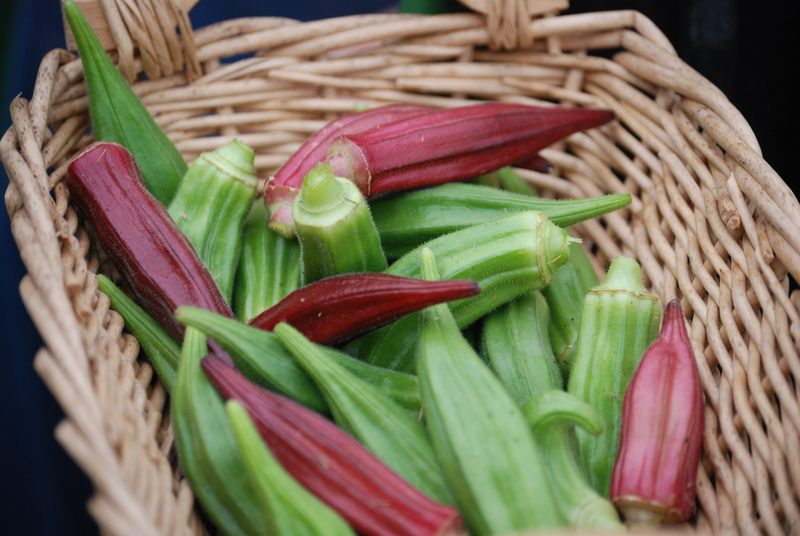 Grilled Okra with Red Curry Lime dipping sauce – this recipe made Shane claim he was going to grow his OWN okra so he could make this as much as he wants! Preheat grill to med-high or high, depending on your grill. Wash okra and toss with a little coconut oil and salt. Throw okra onto grill grate or if there is a danger of it falling through, skewer it. Grill, turning as needed, until lightly charred in spots and tender, about 10 minutes. Combine curry, lime, olive oil and salt to taste. Serve grilled okra with a side of sauce. *I’ve discovered that one shot of Southern Comfort makes this pie AMAZEBALLS. So then you would need to subtract one shot of milk from the 1/2 cup for it to set up right. Preheat oven to 350. Boil sweet potato until soft, about an hour. 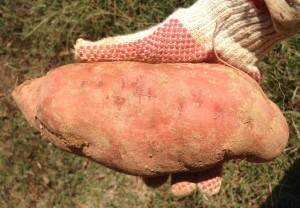 Run cold water over sweet potato and remove skin. Break apart in bowl, add butter and beat til smooth with mixer. Add the remaining ingredients and beat til smooth and well mixed. Pour into pie crust if using, or pour into glass pie plate for a crustless pie. Bake 55-60 minutes until knife inserted into middle of pie comes out clean. Cider Roasted Sweet Potatoes – everyone loves this! so it’s great for those who CLAIM they don’t love sweet potatoes. Preheat oven to 425. Toss cubes, garlic and shallot in melted coconut oil, salt & pepper. Place in a 9×13 glass baking dish and bake 25-35 minutes until all the veggies are soft, and getting brown edges. Stir during cooking time if you feel like it. Combine the apple cider vin and the honey, and when veggies are done, toss them in the dressing and serve. 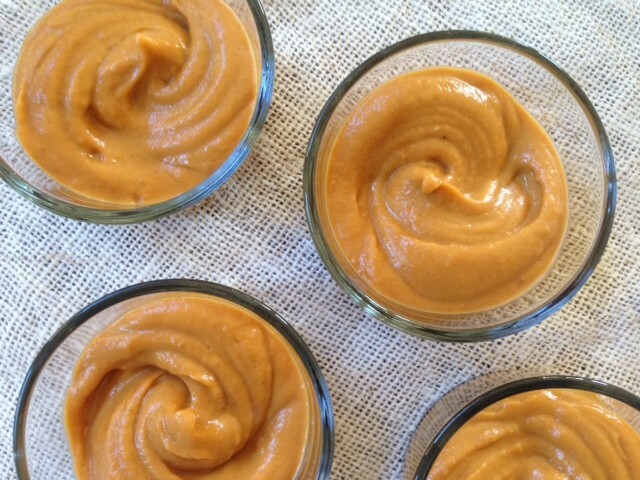 THIS CAN ALSO BE BLENDED, and made into a thick, hearty roasted garlic and sweet potato soup. Leave out the dressing, and add some organic veggie broth. Coconut Pudding! THIS is amazing. It can be made dairy free, it can be made chocolate, it can be made sugar free and it’s possibly the best idea EVER. Roast sweet potatoes until well caramelized. 400 for an hour, then turn off the oven and leave them another hour for the most amazing sweetness. Into the food processor: Roasted sweet potatoes, milk, vanilla, bananas and some coconut. Add some milk and process, adding more as needed to get the perfect consistency. The amoutn of dried coconut you add is up to you, and if you want perfectly smooth pudding leave it out. Taste and add a small amount of maple syrup as desired. To make chocolate pudding, leave out coconut flavor and coconut and add 1/4 c cocoa powder or to taste.